POPtv wanted to introduce their new show, Let’s Get Physical, with their #1 hit show, Schitt’s Creek, by doing a combo mailer. We created a combo “book” that allowed Schitt’s Creek to be on the left side with a custom speaker and backup battery, as well as a POPtv custom USB with both shows loaded on them. 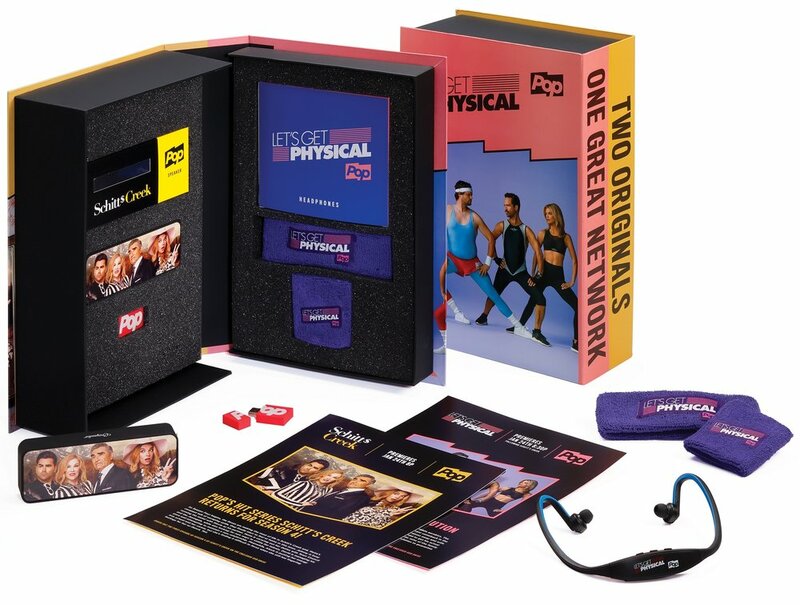 On the right side, was the new intro to Let’s Get Physical with custom bluetooth headphones, and terry headband and wristbands. All packaging for products was custom full color imprinted.